To purchase fireworks you must be 18 years old or older. No one under 16 may hold or use fireworks. Fireworks can only be used between 10am-9pm. Exceptions are July 4 (midnight) and New Year’s Eve (1am). 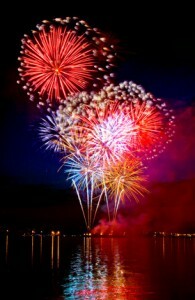 Fireworks cannot be fired within 100 yards of a hospital, nursing home or prison. No one under the influence of alcohol or drugs can legally set off fireworks. Read more on Georgia laws and rules regarding fireworks. Read caution labels and performance instructions before igniting fireworks. Have a water hose or bucket of water nearby. Ignite fireworks one at a time and move back quickly. Wet down used fireworks to dispose of them. Avoid having pets around during a fireworks display. 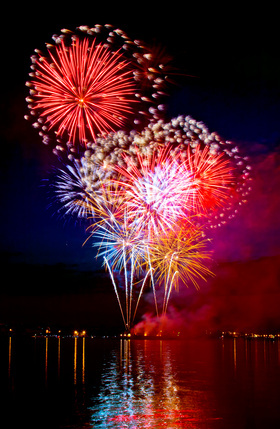 Read more on fireworks safety tips from the National Council of Fireworks Safety (NCFS). Enjoy July 4th responsibly with these safety tips if you decide to conduct your own fireworks display. And if you are joining a professional display, please leave Scout at home! Loud fireworks are no fun for pets and can cause extreme stress. For more information regarding insurance products and the best coverage for you and your family, contact the professionals at Sleek & Williamson today at (770) 489-2403.